Our expert teams offer experienced and reliable service, so you can get back to what matters most. We mitigate toxic mold, mildew, soot and those other bad smells. Have peace of mind knowing that we are on the job. Our expert technicians dry out and restore your property as if it were our own. From emergency board-up services to the final touches on repairs, we apply competent expertise at each phase of a fire damage restoration. 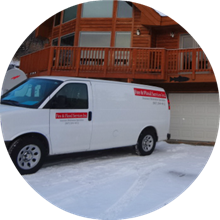 Our team of technicians is prepared 24 hours a day to respond to water damage emergencies. We return your property to a pre-damage condition. Breathe easy. We use state-of-the-art techniques to remediate mold. We then locate and repair root causes of high moisture to stop mold growth. Don’t let your business and property become casualties during a disaster. Get back to life or business fast with a full range of storm restoration services. Disasters happen when you least expect it. We are prepared 24 hours a day to dispatch a team of qualified technicians to your location. Alaskan owned and operated, we have proudly served Anchorage since 1991. We care about our community and our neighbors. Our trustworthy teams of experts have the experience and knowledge necessary to remediate and repair your Anchorage property. Damage to your property can be a stressful event. We consider it our job to make this difficult transition as comfortable as possible for our clients. "I will definitely keep their number and wouldn't hesitate to recommend them to a friend." While I hope you never find yourself needing fire or flood services, I can honestly say you will be in good hands with this company if you do. Within two weeks of closing on our house (our first house mind you) our downstairs bathroom flooded overnight and wasn't discovered until the a.m. Being a new homeowner I had no idea who to call, luckily the name of this company says it all. They were there quickly with all the equipment needed to clean it up and dry it out. I was so relieved! Fast and affordable. I hope to never need their services again but will definitely keep their number and wouldn't hesitate to recommend them to a friend. 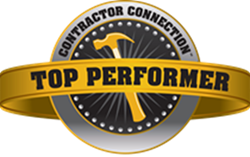 "They have been there anytime of day I have wanted to call them and worked with me step by step through the whole insurance process." Fire and Flood services isn't finished with my home yet. However, I couldn't wait to tell everyone how absolutely amazing they are. My house caught on fire and they were here that day on a weekend to assess damage and sent a cleaning crew out the next day to ensure my home was as safe as possible. They have been there anytime of day I have wanted to call them and worked with me step by step through the whole insurance process. As I have never had to claim anything on insurance before this was extremely helpful. I would recommend their services to anyone I know and actually already have. "They arrived in a flash with all the tools and machines needed to begin the dry out process." Fire & Flood Services was such an immense help when we had a burst pipe in our basement. They arrived in a flash with all the tools and machines needed to begin the dry out process. You could tell that the service provider knew exactly what they were talking about and didn't try to quote us a rate that was above the service provided. I hope to never need their services again but if we do I know exactly who to call and am confidant that I'll be taken care of. I would highly recommend them should you ever find yourself with fire or flood damage! "You and your crew were always so polite and helpful. Your approach to the challenge was very organized and complete. We couldn’t have asked for a more accommodating crew." Thank you so much for your great work on the restoration project following a gas boiler fire in our Anchorage home. You and your crew were always so polite and helpful. Your approach to the challenge was very organized and complete. We couldn’t have asked for a more accommodating crew.